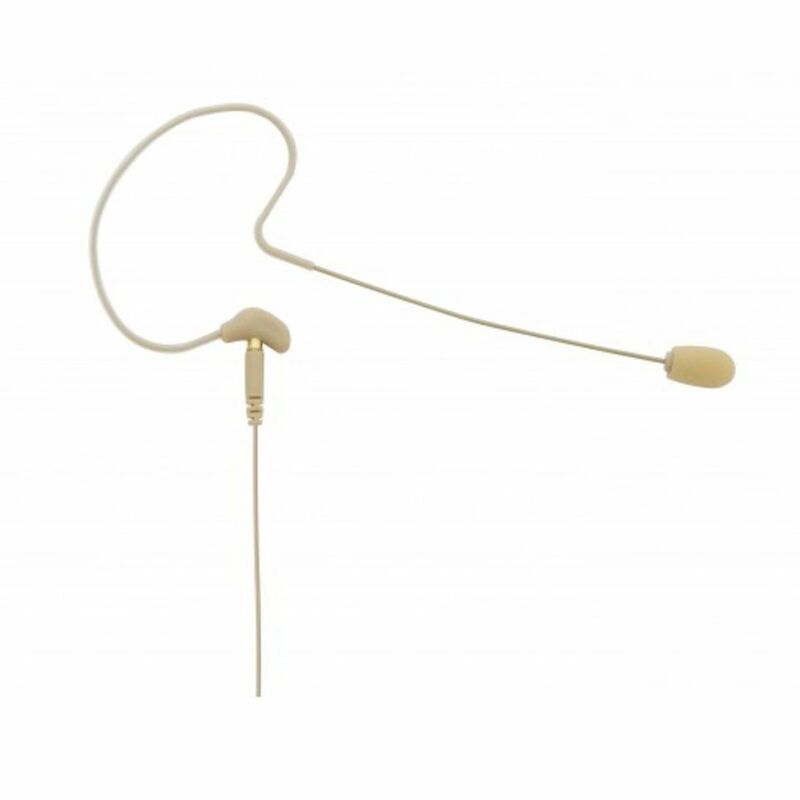 The TG H57c ear hook microphone commands but does not attract attention – in other words, a commanding and balanced sound meets a subtle appearance. The splash- and sweat-proof omnidirectional microphone can be worn on either side. Benefits that come into their own when the microphone is used for presentations or moderations. The detachable connecting cable features a thread and can be replaced by another cable at any time. With the included soft bag, the TG H57c can be safely transported without worrying about splash water or dropping the microphone.The TG H57c microphone is available as TG version and can therefore be used with the wireless TG 1000 microphone system. For wired applications with phantom power sources the TG H57c must be used with the optional MA-PVA power adapter. The microphone is available in beige.